Yesterday, I posted the Project Life layouts I had created during the past month so today I thought I would share a few of the other digital pages and design projects I've been working on. 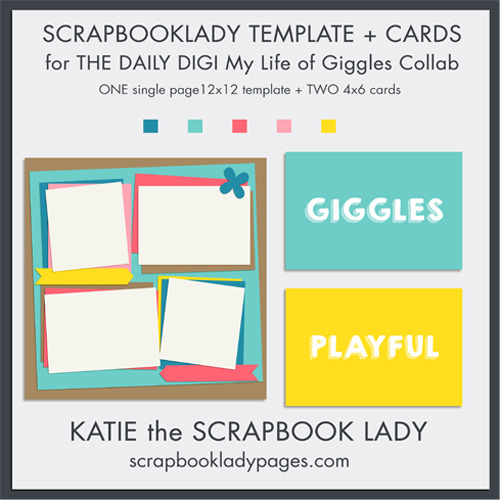 Layout features Happy and Fresh kit from The Digi Files January 2016. On top of all of that, I designed my first Salutations set for my Scrap Shop here. I'm really happy with how it turned out and many of you seem to agree. Thank you so much for your kind words and orders! And if you go take a peek in the shop, you will get to first crack at my new February set that I will blog about tomorrow! Hooray for a busy and creative month!